Go into your next job interview feeling confident and in control after preparing the RIGHT way! The coupon code you entered is expired or invalid, but the membership is still available! ... Not seeing any of these results? Regardless of your age or experience level, nailing the interview can be challenging. The only way to "win" at job interviewing is to prepare yourself effectively. However, if you're unsure of the right approach, you're not alone. Many people struggle during job interviews. Lack of confidence, preparation, and strategy can result in a painful and ineffective interview that doesn't make a great impression. If this sounds like you, it's time to try a proven strategy that will help you nail your job interviews every time. "The course is very complete, very comprehensible and provides ample guidance on how to present oneself at an interview, how to answer some of the most common interview questions, the type of questions we should ask at an interview and how to follow-up. Great advice, some of it extremely basics but most of it very fitting. It's a good course to take to refresh or improve our interview skills." - Julie L.
"Have a job interview coming up? You would be remiss not getting this course. J.T. starts with getting back to the basics, then prepares you for various types of interviews, how to deal with nervousness and how to ask job getting questions. J.T. shares insider secrets that will help you get a job!" - Dean P.
"The instructor is personable, concise and clearly knows what she's talking about. Her tips, formulas and structures are exceedingly help and are always supplemented with the real-life examples. Best yet, because she gives the inside scoop on what HR folks are actually hoping you'll say, it automatically builds one's confidence!" - Kate L.
How to properly prepare for each interview. 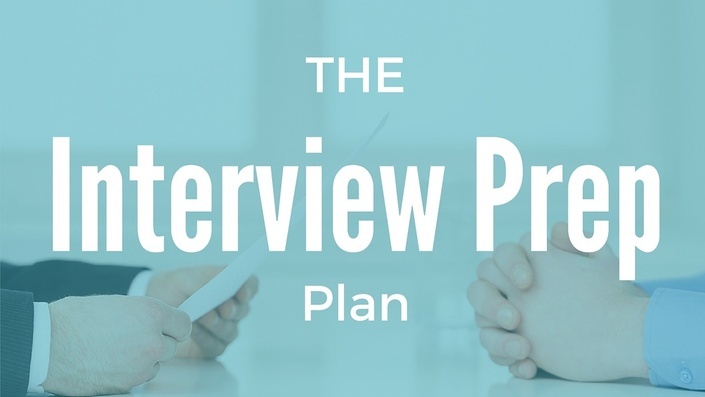 The various types of interviews and what to expect during each one. How to make sure you give the right answers to interview questions - every time! A list of questions you should ask on the interview that will impress the hiring manager. The best way to follow-up after the interview. Tips for standing out and beating your competition. The class is broken down into nine sections, each with short, informative videos designed to help you quickly master the art of effective interviewing. Within a matter of hours, you'll feel like you've been given the inside track on how to make employers fall in love with you. J.T. O'Donnell is an HR & Recruiting Expert, with more than 15 years experience. With over 1 MILLION followers on LinkedIn, she is considered a top influencer in the area of job search and career development. Her work has been cited in The Wall Street Journal, The New York Times, Inc, Fast Company, and many other major publications. J.T. designed this course based on her thousands of hours helping clients master interviews to land the job they want and deserve! Don't let a lousy interview cost you the job. This course will give you the confidence you need to WOW employers and dramatically increase the chances you get the job offer. When it comes to interviewing, nobody can do it for you. It's up to YOU to improve your skills so you can impress the hiring manager. This course is the key to successfully showcasing your true potential in the interview! Welcome To The Ultimate Interview Prep Guide!